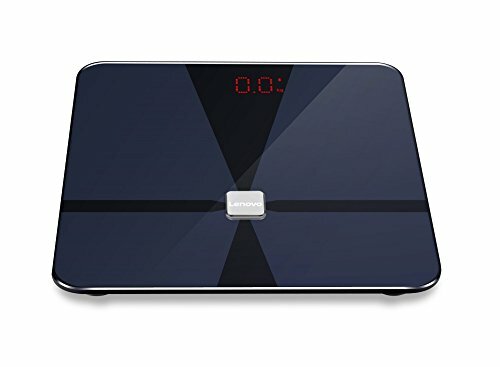 Buy Lenovo HS10 Smart Scale (Black) From Amazon Lightning Deal For Rs.1499 Only. Best Lowest & Cheapest Price Online For Digital Weighing Scale. Health Scale with multiple metrics to measure health goals. Lenovo Body fat scale is a app supported weighing scale which provides various other information (body fat, BMI, body water, muscle mass, bone mass and visceral fat), Muscle mass/bone mass measuring, Visceral fat/BMR measuring (Basal Metabolic Rate) accurately using BIA technology. Check Prices From Flipkart, Ebay down below. Also Find Latest Available Deals & Coupons to Improve Your Fitness.